Last year I heard that violinist James Ehnes was going to be performing the Chausson Poeme and first (posthumous) violin concerto of Bela Bartok in Door County, Wisconsin, in August of 2010. As I read about the program, I immediately became intrigued by the virtuosa violinist Stefi Geyer, the woman who had inspired Bartok to write his concerto. The story is fit for a novel, and the First Concerto, if it does not reach the musical heights of the Second, is nonetheless incredibly beautiful and personal and heartfelt. It deserves to be heard more often than it is. Thanks to James Ehnes and conductor Victor Yampolsky for programming this relative rarity, and for bringing my attention to Stefi Geyer, who, as I write in the essay, is an extraordinary musical figure and worth remembering even aside from her association with Bartok. I have no training in scholarly writing, and so for this particular incarnation of the essay, I did not bother to source. If you have anything to share about Stefi Geyer, please write me. Thank you to all of the people who I wrote to who contributed their knowledge and expertise on the subject. This is the first part of a three-part essay on Hungarian violinist Stefi Geyer. Read the second part here and the third part here. "I have begun a quartet," he wrote. "The first theme is the theme of the second movement: this is my funeral dirge." Incidentally, this quartet was the first in a series of six that turned out to be the most important string quartet cycle of the twentieth century. 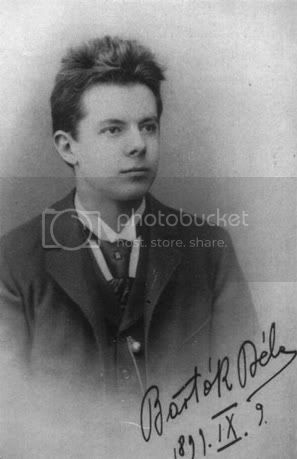 For this was no ordinary school friend: this was Bela Bartok. Stefi Geyer was born into a middle-class Catholic family on June 23, 1888 in Budapest. At the end of the nineteenth century, Budapest was one of the most beautiful cities in the world, with a colorful history stretching back nearly two thousand years. In 1849 the two cities of Buda and Pest, separated by the Danube River, had been joined by the elegant and technologically groundbreaking Chain Bridge, sparking an economic revolution between the two cities. As a result there was an explosion of growth throughout the last half of the nineteenth century - musically, intellectually, and architecturally. Budapest’s magnificent opera house was finished the year of Stefi’s birth, and the grand Parliament building, begun in 1885, was finished the year she turned sixteen. The boulevards were wide; there were charming cafes on every street corner; and the music scene could stand comparison with Vienna’s. The conservatory in Budapest had been founded by none other than Franz Liszt, and over time boasted such students as Ernst von Dohnanyi, Jeno Hubay, Zoltan Kodaly, David Popper, Fritz Reiner, and Georg Solti. Stefi was the daughter of a member of the Budapest police force who was an amateur violinist himself. 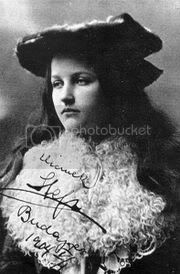 She began her music studies at the age of three and immediately showed extraordinary promise - such that she gave her first public concert at the age of seven in 1895. She was accepted into the studio of Jeno Hubay, a teacher at the Budapest conservatory. Hubay, today perhaps most famous for his compositions for the violin, had studied under Joachim and was friends with such luminaries as Vieuxtemps and Liszt. Stefi’s fellow students included Josef Szigeti (1892-1973), Jelly d’Aranyi (1893-1966), the inspiration for Ravel’s Tzigane, and Franz von Vecsey (1893-1935), who became the second dedicatee of Sibelius’s violin concerto at the age of thirteen. Like many of Hubay’s most talented students, Stefi performed for appreciative audiences all across Europe throughout her childhood, even garnering a mention in the New York Times for her successes in Austria and Italy in 1902. Obviously there was a great deal of talent at the conservatory. That talent attracted an eighteen-year-old pianist from the tiny town of Nagyszentmiklos named Bela Bartok. Bartok had also been accepted at the perhaps more prestigious Vienna Conservatory, but, fatefully, he followed his friend Ernst von Dohnanyi to Budapest instead to study under a student of Liszt. Bartok had dreams of becoming an internationally acclaimed piano virtuoso, but unfortunately his health did not cooperate. He came down with a case of pneumonia so severe that the doctors gave up on his life. A long rest in the pure air of the mountains, combined with the attention of his beloved mother, were the only things that saved him from a premature death. It is unclear when and where Stefi and Bartok met for the first time. It seems likely, given their mutual association with the Budapest conservatory, that they had at least heard of one another before meeting. In a later letter Bartok called Stefi a "14-year-old elfish little girl, whom I met in Jaszbereny." If he was remembering correctly, that would place their first meeting sometime around 1902. Stefi had relatives in the Hungarian town of Jaszbereny and would often go there to visit. Perhaps the twenty-one year old Bartok had been among the classmates invited to join her. In 1903 Bartok ended his studies at the conservatory and embarked on his career as a concert pianist. That same year he wrote a symphonic poem called Kossuth, an homage to the Hungarian Revolution of 1848, and a sign of Bartok’s - and the region’s - ever-increasing feelings of nationalism. In 1904, while on vacation in Slovakia, he famously overheard a Transylvanian nanny singing folk songs to her charges, an encounter that would spark a lifelong passion for folk music. It wasn’t long before he was getting together with a friend, a fellow composer named Zoltan Kodaly, and going out to rural communities to document the region’s musical heritage. In 1905 he was offered a job at his alma mater as a piano professor. He accepted. Once again Bartok and Stefi’s paths must have crossed. It is uncertain exactly when, where, and how, but they eventually became good friends. By early 1907, when Bartok was twenty-six and Stefi nineteen, they were meeting one another to play through the violin and piano works of German composer Max Reger. That summer, Stefi and her brother went to Jaszbereny to visit their aunt. Bartok came along, ostensibly to gather folk song. Watch out for Part II, which details the circumstances surrounding the composition of Bartok's first violin concerto. That's really interesting. I'm looking forward to Part 2. Yes, super interesting thanks for this good essay!! !